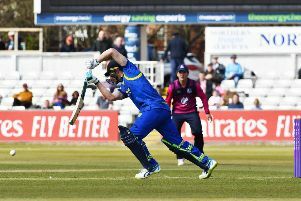 Durham CCC has appointed two new directors as part of the club’s restructuring. Businessmen Paul Woolston and Naynesh Desai have joined the board. Woolston retired from accountancy firm PwC in 2014, after 25 years of service. He was Senior Partner at the Newcastle Office and led the company’s UK Public Services Assurance Practise. He has a Master of Business Science from Manchester Business School and is a CIPFA accountant. He is also the former Chair of the North East Local Enterprise Partnership and works with a number of charities. He has a long association with Durham and led on the business plan that saw the club gain first class status in 1991. Desai is a senior partner with DDO Solicitors, based in Mayfair, London. The commercial lawyer is a long-term advisor to Durham chairman Sir Ian Botham, who is also on the board with chief executive David Harker, Phil Collins and Bob Jackson.